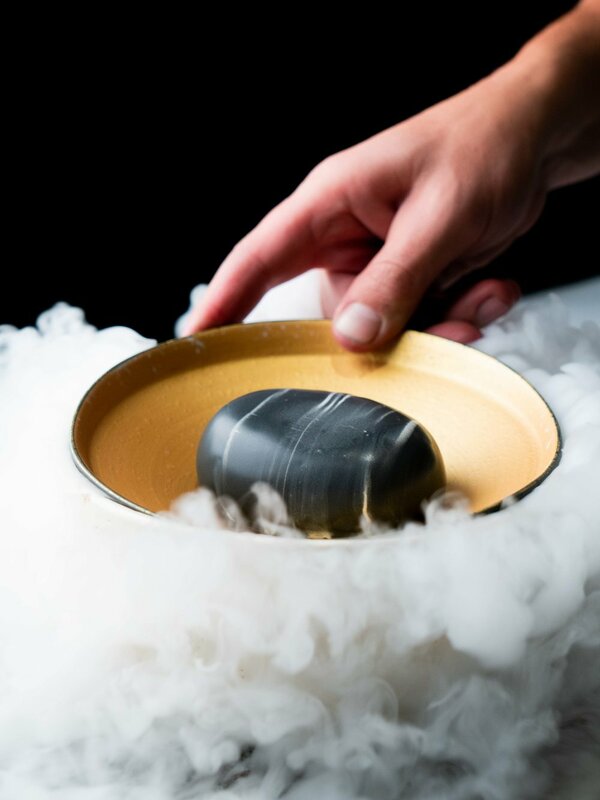 RAKU combines the precision and artfulness of Japanese culinary history with the vibrant energy of modern Australian dining. Our sushi team crafts beautiful plates of sashimi, nigiri and maki rolls, whilst the robata grill produces meat, seafood and vegetable dishes that sing with the flavours of the flames. At RAKU, we hold this belief to our heart and because of that, ensure every single staff member is trained to excel in their designated areas. From the second you step into our restaurant, you are treated by a friendly, loving and expertly trained group. Because of the training each staff member undergoes, we can guarantee your night will be described as not just a meal, but an experience, start to finish. Executive chef Hao is a master with the sushi blade. His culinary creations span the taste spectrum, from subtle and delicate, to robust and exciting flavour profiles. He and his team will ensure you have a memorable meal, and have you returning again. Raku is named after a Japanese style of pottery, which is created by hand without a mould, and is fired in open flames. The result of this technique is unpredictable textures, patterns and vibrant colours. Originally developed by a single family in 16th century Japan, Raku has become immensely culturally significant and a revered art form across the world. An experience comes about from an entire team's effort. 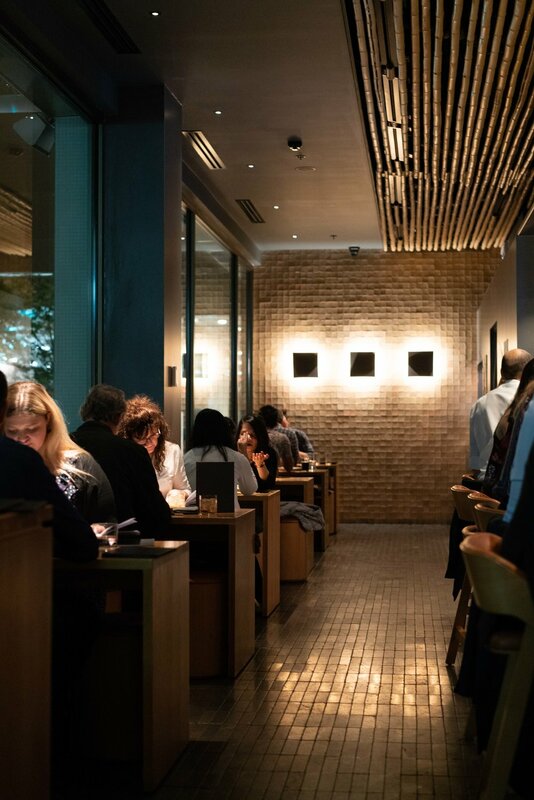 An experience as RAKU leaves the customer feeling as though they had more than just a meal. From the moment you are greeted at the door to the moment you leave the restaurant, we promise an unforgettable experience. Australia offers a diverse variety of fine and flavourful foods available at our fingertips, allowing us and our expert staff to create exciting and unique dishes for you to enjoy. 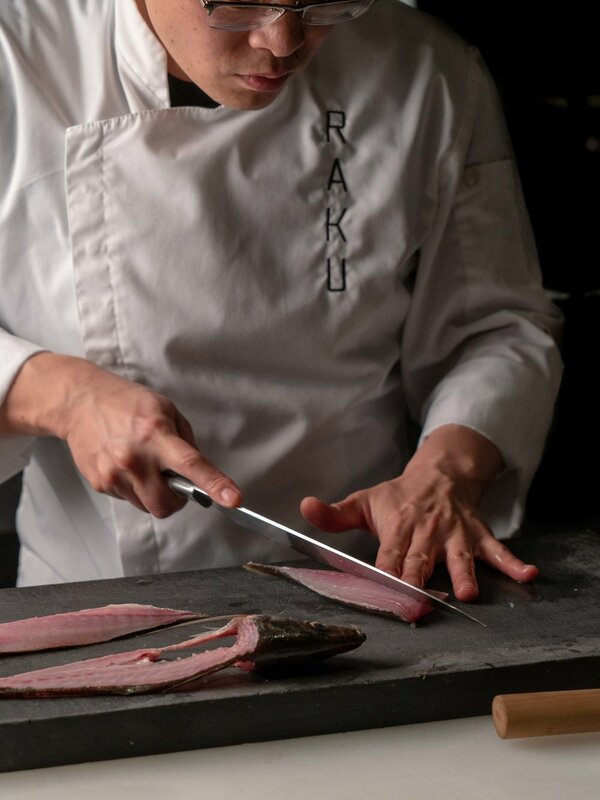 Whether seafood, red meats or delicious vegetables, RAKU sources from small and unique suppliers to ensure the freshest and most nutritious ingredients for our customers.